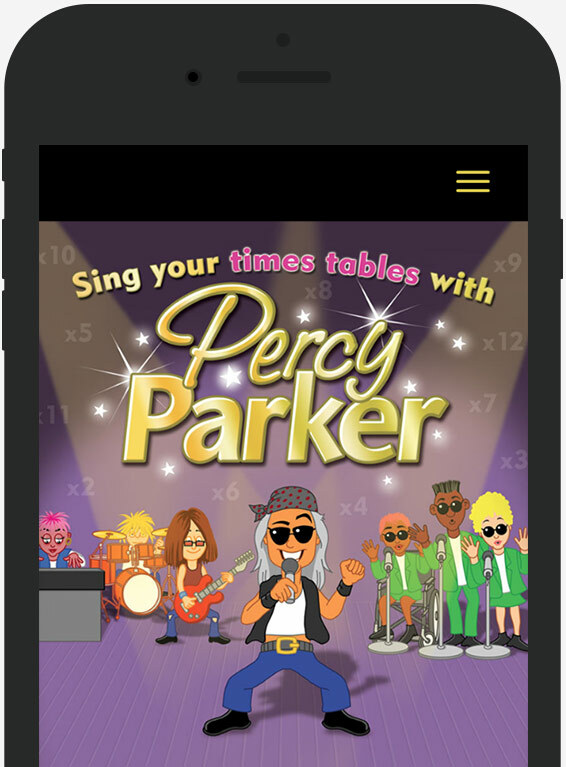 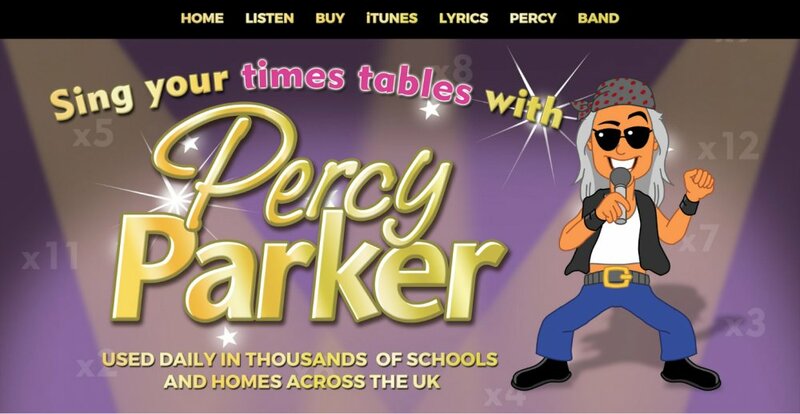 SING YOUR TIMES TABLES WITH PERCY PARKER is a learning album for children created to guide them to learn their times tables. 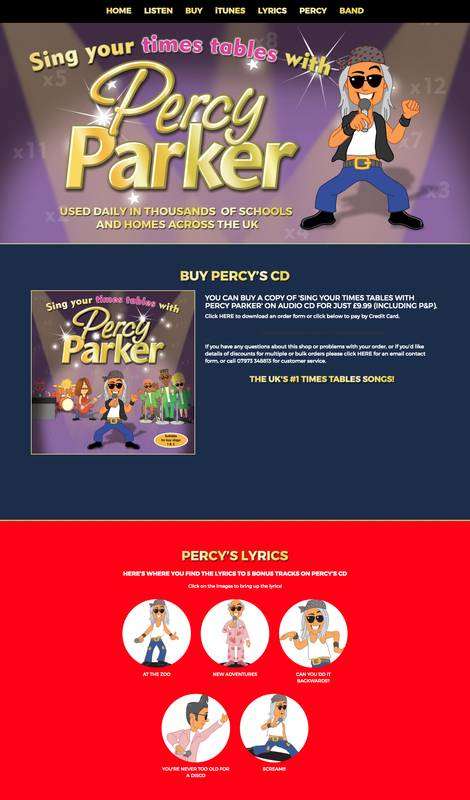 The site features audio samples of the CD as well as ways to make a purchase. 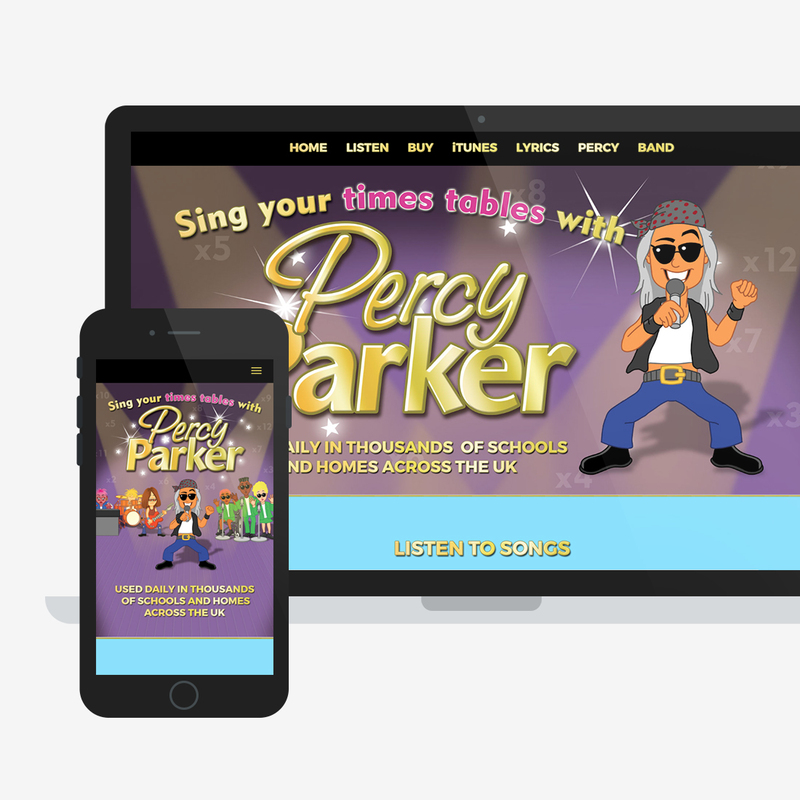 The large header image adds tremendous impact when visiting the site as do the vivid background colours for each section.